Uppaal/DMC is an extension of Uppaal which provides generic heuristics for directed model checking. In this approach, the traversal of the state space is guided by a heuristic function which estimates the distance of a search state to the nearest error state. 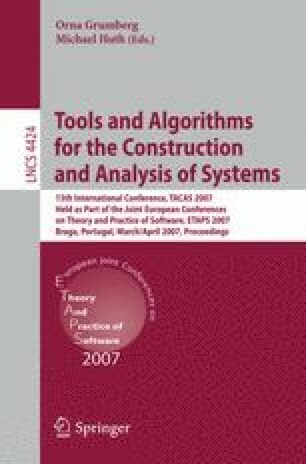 Our tool combines two recent approaches to design such estimation functions. Both are based on computing an abstraction of the system and using the error distance in this abstraction as the heuristic value. The abstractions, and thus the heuristic functions, are generated fully automatically and do not need any additional user input. Uppaal/DMC needs less time and memory to find shorter error paths than Uppaal’s standard search methods.